Put a collage of icons into a shape? 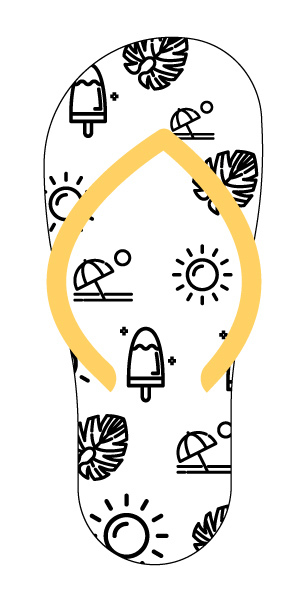 I am trying to learn how to put a collage of summer icons into the shape of a flip flop like the picture attached. Is there a way to do it without having to place each icon separately? Any tips would be great! take 1 shape of filp-flop. Arrange all summer icons above this layer make all them in 1 group. take the same shape of flip-flop again. Make sure this shape should be on top. 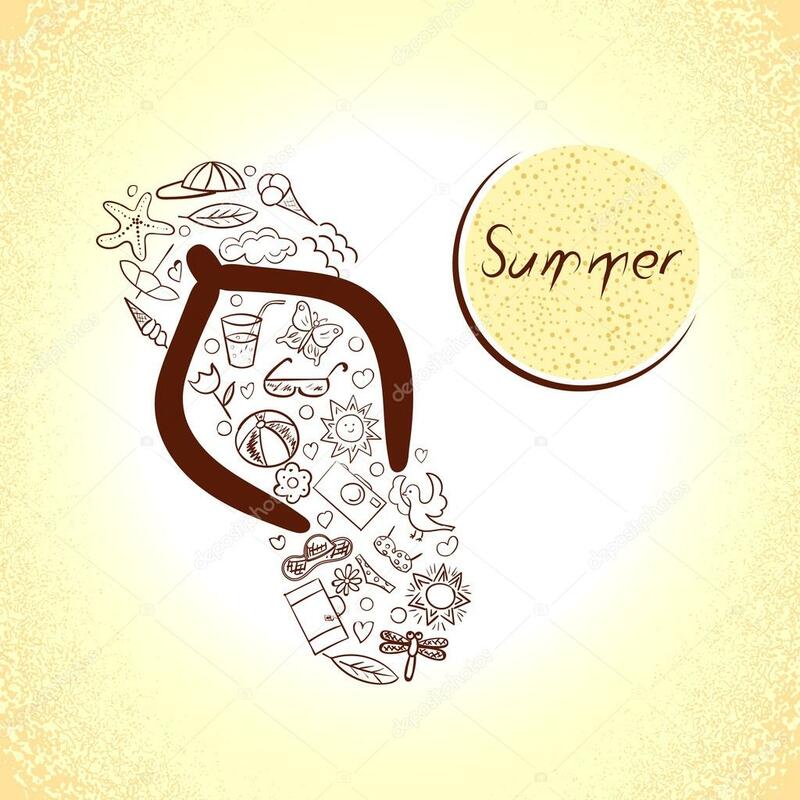 select group of summer icons & top flip-flop layer -> right click -> make clipping mask. How I can make people collage in custom shape? How to color overlay an icon with multiple colors?